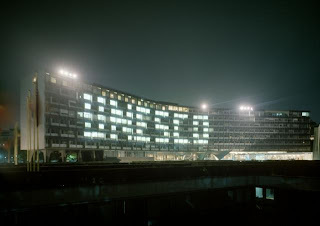 The UNESCO Executive Board has begun is meeting and will soon elect its candidate for to serve as Director General for the next four years. Three days have been scheduled for the election — October 4, 7 and 8. The September 28th issue of Jeune Afrique has a long section on the race (in French) titled “UNESCO: La Batille de Fontenoy“. Unfortunately it is not available on the Internet, but the magazine is widely available. Yojana Sharma has continued her coverage of the election in various publications. And with respect to Joseph Maila: “Joseph Maïla, candidat à la direction générale de l’Unesco” from La Croix. Since the current crisis in UNESCO is largely due to the United States withholding is contributions to the Organization for the last two years, the status of those contributions may influence the choice among the candidates. The Congress is still gridlocked on the U.S. federal budget for the year beginning October first, but there have been a couple of useful signs recently. The Senate Foreign Relations committee held a hearing on the nomination for Ambassador to UNESCO last week. Thus the process is still going on to confirm a full ambassador to the post of Permanent Representative of the United States to UNESCO. During her hearing she confirmed that the Obama administration is still supporting a change in the law that would permit it to restore funding to UNESCO. A recent poll shows that a large majority of Americans support U.S. finding for UNESCO. In other news, United Nations Secretary General Ban Ki-moon announced that he had requested UNESCO Director General Irina Bokova to establish a Science Advisory Board for the United Nations and that UNESCO would host the secretariat for that Board.